Ernesto Arredondo Jr.. Photo courtesy of The San Diego Regional Chamber of Commerce. The San Diego Regional Chamber of Commerce Board of Directors Thursday selected a local banker as its new chairman. 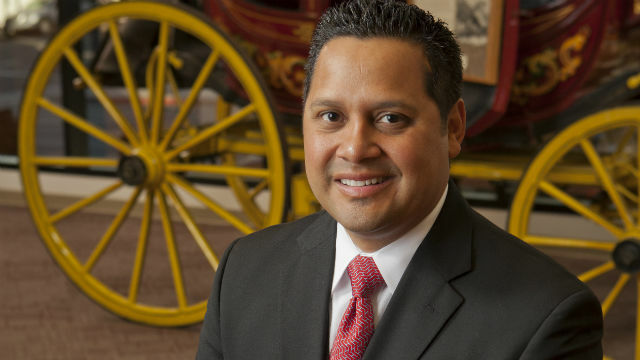 Ernesto Arredondo Jr., San Diego area president of Wells Fargo Bank, replaces John Reilly, who held the chairman post briefly before being promoted to oversee all theme parks for SeaWorld Entertainment. Reilly is relocating to Florida. Arredondo had been the chamber’s vice chairman. Arredondo will assume the chairmanship in April. Sam Attisha, vice president of business development and public affairs of Cox Communications, will be the chamber’s vice chairman.